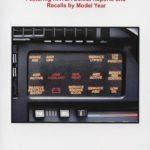 Posted on October 26, 2018 Posted in Corvette News and Archives	. 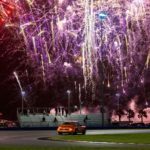 Tags: 2019 Historic Sports Car Racing Schedule	. 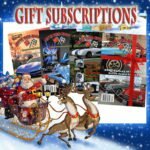 Posted on October 24, 2018 Posted in Corvette Contest	. Our Corvette Show Car Online Contest is over. We want to congratulate Roy Oberg, Mark St.Jean, Desitt Moyer and Martin Spit. Thanks to everyone who participated and watch for our next contest! Tags: Corvette Photo Contest, Facebook Corvette Contest, Vette Vues Contest	. Posted on October 22, 2018 Posted in Corvette Racing News Current and Past	. 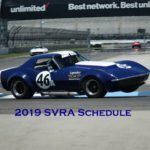 Tags: 2019 Sportscar Vintage Racing Association Full Schedule, 2019 SVRA SCHEDULE, SVRA Schedule 2019	. 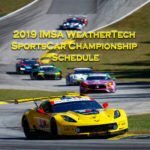 Tags: 2019 IMSA Schedule PDF FILE, 2019 IMSA Schedule was released, 2019 IMSA WeatherTech SportsCar Championship schedule, IMSA releases 2019 schedule	. 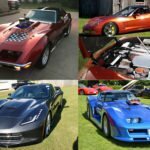 Posted on October 17, 2018 Posted in Corvette News and Archives	. Tags: C4 Corvette Maintenance Basics by John Loughmiller, Corvette Book Review	. 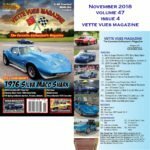 Posted on October 4, 2018 Posted in Vette Vues Magazine Issue Preview	.